Fabulous Home in Morrison! With over 2300 total sq ft, this remodeled 3 bed 3 bath home is just what you have been looking for. Nestled in this quiet Friendly Hills neighborhood with good schools, easy access to both the mountains and down town, you will be just minutes from the world famous Red Rocks Amphitheater, Weaver Park Pool and Skate Park, as well as walking distance to the community orchard, Bear Creek Lake Park and the C470 bike route. With a newer roof(2016), new windows, hot water heater, carpet, paint, flooring, toilets, and slab quartz counter tops in the kitchens and baths, large living room and family room with fireplace, formal dining as well as eat in kitchen, this is ready to move in and make it your home. 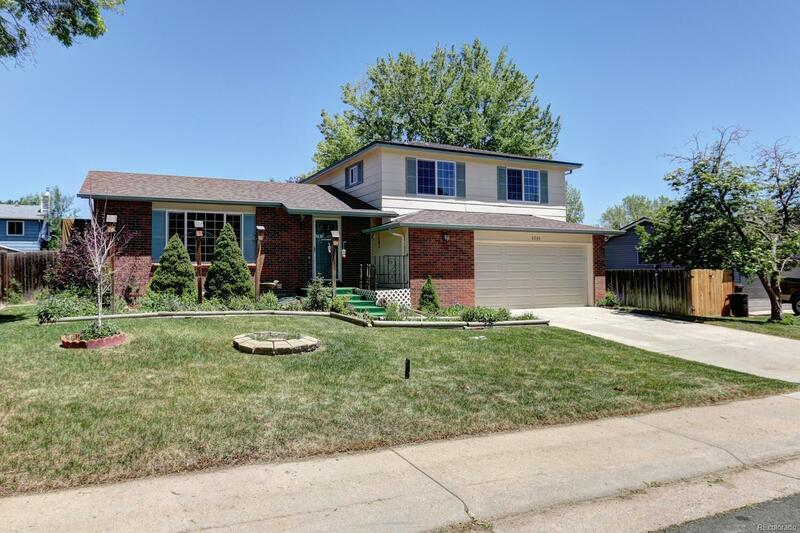 There is also a finished 2 car attached garage with work space nook, partially finished basement with lots of flex space, and beautifully landscaped yard with mature trees in your private fenced back yard. Welcome home!